Before your child attends FRUK Forest Kindergarten we ask you kindly to complete an all about me form and registration details via FAMLY an online app where we communicate with our parents. Once these have been completed we can then confirm your place. We meet at South Millfields Park, near the basketball court, in the enclosure, by the fallen tree. We kindly ask parents (apart from those settling their child) not to enter the site to drop off or pick up their child but to wait at the gate where a member of staff is always present at these times. Parking is available on Chatsworth Road. Bus routes nearby are 242, 55, 56, 48, 38. 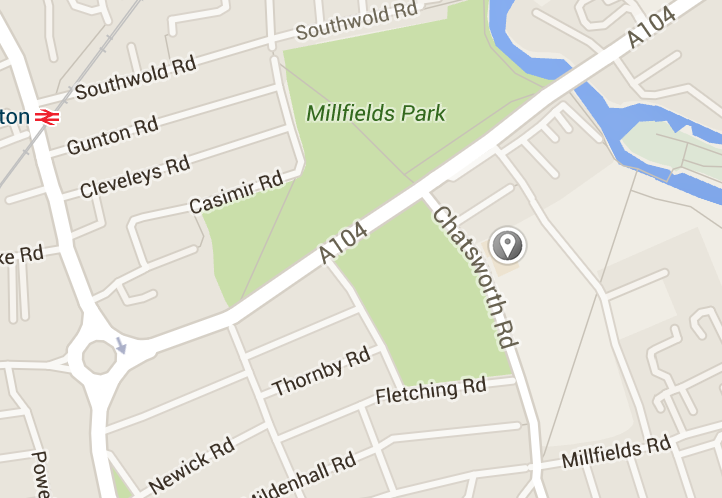 Our site is accessed either via Hillstowe Street or the park entrance on Chatsworth Rd, opposite Cooper and Wolf cafe. Nearest train stations are either Clapton or Homerton stations. Please arrive promptly for the session, morning drop off is 9.15am and collection is 3.15pm. Please ensure your child is fully dressed in outdoor clothing including waterproofs and wellies (our site does get muddy even when it is not raining during a session as we allow the children to make mud with water). On hot summer days these are not required to be worn on arrival but may be needed during the course of the day. Please see our suggested kit list for the sessions for the different seasons. If you do not have the recommended kit we can assist you in buying the right clothing. We have tested many brands and not all brands are equally durable and water resistant. It is important that your child is dry and warm at all times. Please email hayley@freerangeurbankids.com for any advice on this matter. If you are attending the sessions to settle your child in, we advise that you wear appropriate warm and waterproof clothing too. no crisps or similar processed snacks as these contain artificial flavourings & preservatives which can impact negatively on behaviour. We will break for lunch at noon and will provide snacks at around 10.30 am in the morning and around 2.45 pm in the afternoon. Snacks may include naturally sweetened (banana & dates) muffins or crackers, herbal teas and some fruit or vegetables. Please see our Food Policy for further details. The following items should be included in each child’s back pack when they attend a session at FRUK and it is the parents’ responsibility to ensure that all items are present and dry before arriving at our sessions. a small bottle of water (we kindly ask you only to provide water and NOT juices or any other liquids). Stainless steel containers are better than plastic which leach chemicals. Whilst we do provide water, we ask you to pack a small bottle of water everyday for when we leave our site on roaming trips. Please ensure bottles are full on arrival as we will not have time to fill these in the morning before we depart on our nature trail walks.